Dental implant surgery (also known as endosseous implant or fixture) has arguably changed the way dentistry is conducted in the last quarter century. These dental appliances, which are available through the Thantakit International Dental Center, are implanted metal studs inserted into the empty socket of an extracted tooth in order to put on a false tooth or crown into your mouth that’s anchored right through the jawbone. It’s certainly even better than replacing missing teeth with dentures because you don’t have to remove them and put them inside a glass of water for use later! 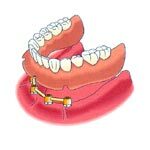 A dental implant replicates the feel of your lost tooth more than a crown you insert via a bridge or atop your gums. 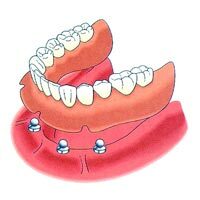 The extra anchoring makes crowd on top of dental implants more solid. Why Should You Go the Thantakit Dental Center Route? Dr. Thara Sirikai, the current owner of Thantakit and head of the Dental Implant Center, is available in the office every day of the work week and open clinic hours to take care of all dental implant patients himself with the best implantation technology available in the whole of Thailand. Long story short, this ensures the best possible dental implants or fixtures on your teeth by one of the most revered implant dentists in Thailand and the world, whose family founded the the Thai Society of Dental Implantology, as well! Dental implantation didn’t only make way for more effective teeth restoration techniques in the late twentieth century and early twenty-first century. It was also introduced by Thantakit’s very own Sirikai Dentistry Family! The Thantakit International Dental Center (established in 1945) is the clinic established by the first Thai dentist who brought to Bangkok advanced dental implant or implant dentistry techniques straight from the United States of America since 1973. To be more specific, it was the second-generation owner of Thantakit—Doctor Bancha Sirikai—that added implant dentistry to the clinic’s repertoire. What’s more, Dr. Bancha founded the Thai Society of Dental Implantology in 1984. This inclusion of the endosseous implant or fixture procedure has allowed Thantakit to become a world-class clinic visited the world over by people searching for cost-effective dental offerings. It’s certainly the Pride of Thailand when it comes to dentistry. What Implant Procedures Are Thantakit Dental Center Offering? Why Implant Dentistry Might Be the Best Option for You? A dentist that practices implant dentistry requires expertise in tooth restoration, surgery, and a lot of planning. Multiple sessions might be called for because you’re going to need to recuperate after the surgery. By availing of Thantakit International Dental Center’s services, you’ll get to enjoy pick up at the airport or hotel in case you’re a foreigner who’ve gone all the way to Bangkok, Thailand to get some global level dental care of the implant dentistry variety. What’s more, it’s a combination of tooth restoration and dental surgery, such that dental implants are arguably an amalgamation of science and art. If that’s not enough, then there’s also the fact that you can avoid bone loss due to extracted teeth by availing of this procedure. The thing you must expect from Thantakit International Dental Center when it comes to dental implants is that you can choose between regular or miniature implant devices. What’s more, depending on your individual needs, the procedure itself will vary. Don’t worry, because the dentists of Thantakit International Dental Center are accredited, internationally trained, professional, reliable, and dependable. This ensures 100% customer satisfaction every time! They’ll know which implants will best deal with your circumstances. You should be a candidate for dental implants before going through the operation as well. What Are the Procedures Involved with Thantakit Center’s Dental Implantation? Determining the Kind of Implantation Called For: When it comes to international grade implant dentistry in Bangkok, Thailand, determining what kind of dental implant you need all boils down to the dentist’s skill and your unique circumstances. This also includes how the procedure is completed. The Cosmetic Side to Dental Implants: Fixture dentistry is cosmetic because implants and the crowns put atop them are supposed to replicate what a real tooth is supposed to look or feel inside your mouth. Feel Reassured by Full-Coverage Guarantees: What’s more, you’ll get a five-year guarantee for your dental implant procedure. In case something happens within five years, you can have the implant fixed and redone free of charge. The Circumstances behind Implanting a Fixture: It’s either the original tooth is extracted or the dentist is going to work on an empty tooth socket from a tooth that was already dealt with. Only after everything has healed can a Thantakit dentist implant the metal stud to the bone. The Myriad of Options Available in Implantation Surgery: Furthermore, a dental bridge can also be supported by two implants instead of filed teeth.It’s atop this metal implant that the false crown or tooth can be screwed into place, giving your mouth the feel of real tooth complete with artificial tooth root. So what are you waiting for? If you want to complete your incomplete smile or ensure that missing teeth won’t affect your appearance, take a visit at the Thantakit International Dental Center ASAP.